The Esplanade’s FREE Riverfront Music Series! One of the things people love most about the Charles River Esplanade is the rich history of free musical performances. For many years, people have gathered to enjoy the beloved Boston Pops 4th of July Concert as fireworks burst over the Charles River or to picnic on Wednesday nights in the summer while listening to Landmarks Orchestra play. As seen in the Boston Globe, the Esplanade Association is pleased to continue this tradition in 2018 with the introduction of GroundBeat: The Esplanade’s FREE Riverfront Music Series of diverse, carefully-curated, intimate musical performances. See below for information about our initial partner groups and when and where you can catch all the fun! A family-friendly, high-energy, toe-tapping, hand-clapping and body-grooving experience that represents Boston’s best in live dance and music. Featuring performances from: Grooversity, Trend N Motion, and Valerie Stephens. This event is produced by Boston Art & Music Soul (BAMS) Fest, a nonprofit organization that strives to break down racial and social barriers to arts, music, and culture for marginalized communities of color across Greater Boston. 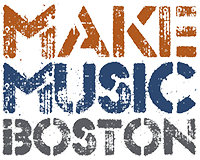 A site-specific, environmental work, Water Music at Make Music Boston is inspired by the Charles River and the many roles water plays in our daily lives. Directed by Maria Finkelmeier, 59 musicians (brass players, percussionists, and singers) will perform newly commissioned work by Marti Epstein, C. Neil Parsons, Maria Finkelmeier, Anthony Green, and Manuel Garcia. The performers will be placed along the Esplanade pathways, and the new works will be performed at sunset on the Summer Solstice. Listeners will each create their own experience by walking within and around the performers themselves. On a single fall afternoon, 25 jazz ensembles will gather at a series of connected, walkable locations along the Charles River Esplanade, interpreting a curated list of Boston-related tunes in one collective concert that celebrates the great jazz community in Boston today. Such is the vision of Jazz Along the Charles: A Walkable Concert, produced by Celebrity Series of Boston. These 25 jazz ensembles will come together simultaneously to interpret the same setlist in their own style. The audience will stroll along the Charles River on a two-mile loop, discovering new songs, artists, and areas of the Esplanade, creating a dynamic and evolving jazz concert experience. Throughout the season, as you spend time on the Esplanade, look out for small pop-up selections by local artists on the Esplanade docks and at other informal – and unannounced – locations! Landmarks Orchestra has free musical performances on the Hatch Oval Lawn on Wednesday evenings throughout the summer. Learn more.